Have you always been the “technology expert” in your family? The one who patiently figures out why something isn’t working when everyone else has given up? Do you have a head for numbers, strong analytical skills, and endless patience? If the answer to all those questions is a resounding “yes,” you may be the perfect candidate for Buffalo State College’s Computer Information Systems (CIS) Program. Computer information systems (CIS) is a rapidly growing field that enables graduates to design, develop, and manage information technology systems. Many CIS graduates work with companies' IT systems, analyzing issues and ensuring all programs are kept up to date and working well. While working toward this degree, students take classes in computer science, numerical analysis, software, hardware, and computer technology. These classes equip students with strong computer skills and teach them to perform complex analytical tasks. Buffalo State also offers a CIS minor, which is an excellent choice for students majoring in business, engineering technology, economics, and many other fields in which an understanding of computer software is helpful. Read on to discover what makes Buffalo State’s CIS program a great choice.  Strong affiliation: CIS is part of Buffalo State’s School of the Professions, which is filled with award-winning faculty, professional accreditations, and a vibrant student body. Scholarships: The staff at the Information Technology Exchange Center (ITEC) established a scholarship given to a student who shows promise in the use of computing and technology. Since 2004, ITEC has awarded $55,000 to 57 recipients, not all of whom are CIS majors. Information Processors Association (IPA): The official student club of the CIS department, it provides web hosting for Buffalo State students, alumni, and clubs, and invites guest speakers to discuss topics of interest in the IT field. High Performance Computing (HiPerC): This student organization promotes the learning, application, and advancement of high performance computing across multiple disciplines. On-Campus Employment: On campus, Computing and Technology Services completes installation, repair, and support for campus computers and networks. The E. H. Butler Library hires students for the Help Desk and as assistants in the library. As an institution, Buffalo State backs its commitment by putting substantial financial resources behind faculty-mentored undergraduate research. The Undergraduate Research Office promotes, supports, and funds undergraduate research in all academic areas—from the sciences to the arts—and for all committed students. More than 400 students present their research through posters and performances each year at the Student Research and Creativity Conference. They also compete for Undergraduate Summer Research Fellowships, which support eight weeks of paid research activity.